Update: The Lost Pelican closed in mid 2016. In this space that once hosted a fancy pants Lampreia and the slightly less fancy pants Bisato, Michael Forte of The Lookout has now created a Creole themed place that serves some fairly good craft cocktails and pretty good Cajun food. I liked the Bensonhurst (bourbon, vermouth, Cynar and maraschino liqueur). It's definitely worth a stop, but the building, decor and overall vibe are a little aloof for a bar -- and especially a New Orleans style bar. 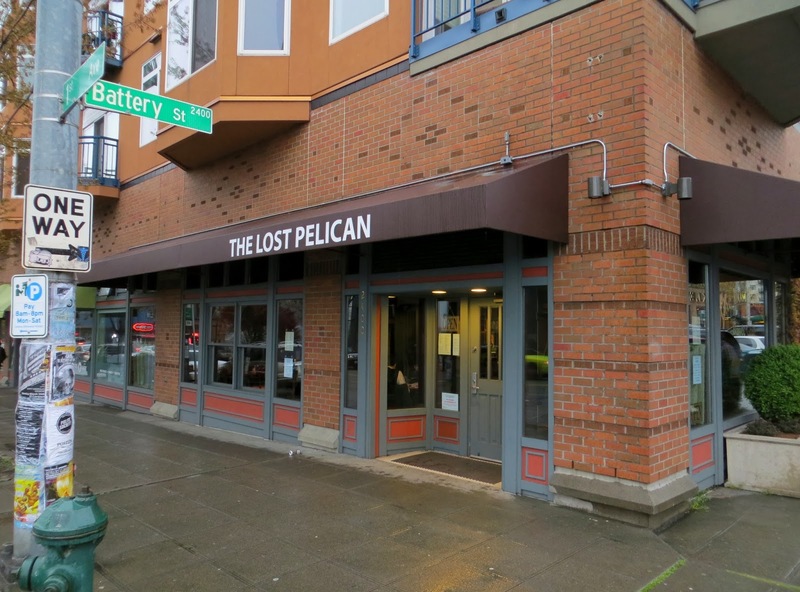 The Lost Pelican was good when they first opened, but just like most things in Belltown, it went downhill fast!